For many, dating can be stressful because men and women fear the unknown. It may be nerves or anxiety at play, but people do feel the need to research their potential partners just before or after their initial meeting. Just how many people actually do this? 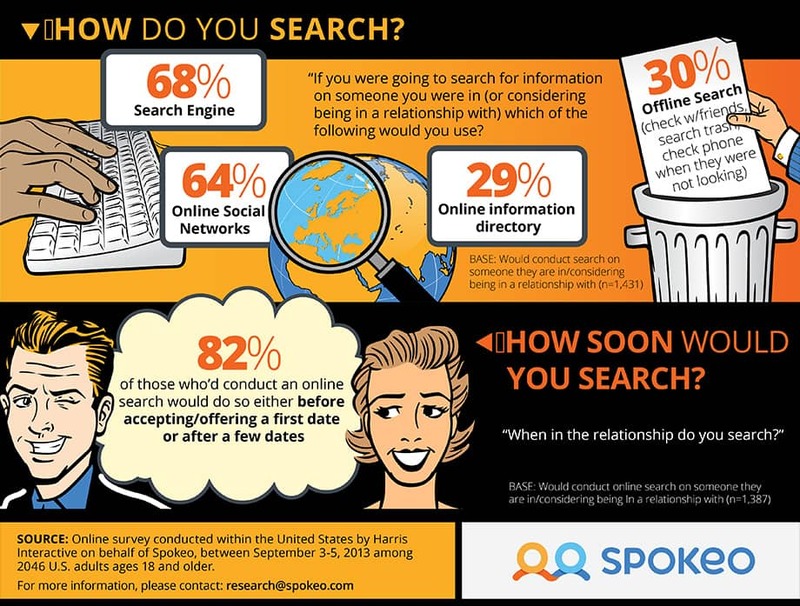 Harris Interactive, commissioned by Spokeo, conducted an online survey in the United States among 2,046 adults to find out if Americans are researching people they are dating (or considering dating). 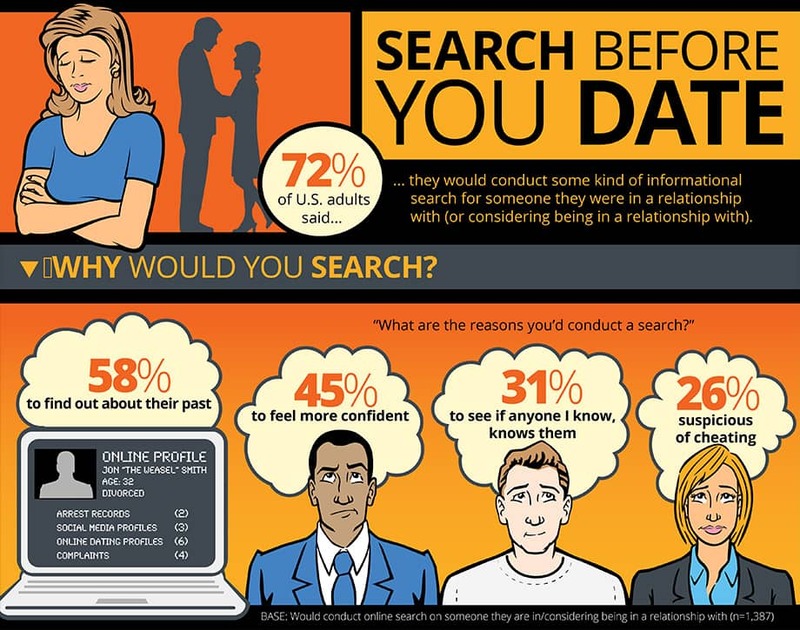 The results show that if you’ve gone on a few dates, chances are you’ve been searched. To learn more about the results, see the complete findings below. To add the Infographic to your website, simply copy and paste the code. Find more great search products by Spokeo, from reverse phone lookup to email search.